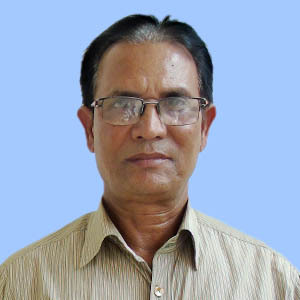 Mr. Aminul Islam completed Higher Secondary Exam in 1974 from Bogra. After that, he joined in A.K. Khan textile Industries Workshop as a learner. Immediately he had been promoted to dye fitter. In December 1975, he joined on board a passenger ship (Victoria) owned by Greek owner as Wiper. He stayed in that ship for 18 months in which he took part in shore workshop job in Paroma House. Then he joined in UASC and served as Donkey Greaser till 1985. He has sailing experience as Motorman of Reefer vessel in Caiser Airving Company. His sea carrier as a Fitter was started in 1995 and ended in 2013 in different vessels under various companies like Eurasia, IMT, K-line, FMS and V- ships (Asia). Recently, he has joined in International Maritime Academy-IMA as Fitter Instructor for the ratings. Presently he is residing in IMA staff quarter, Pubail, Gazipur.